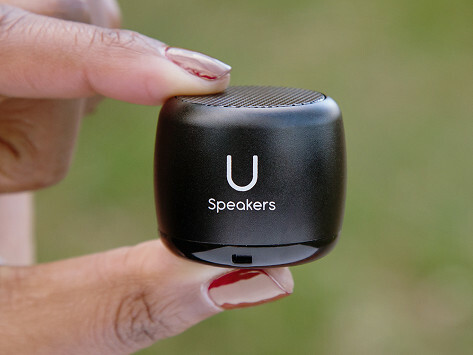 A teeny tiny speaker with majorly big sound. This coin-sized Bluetooth speaker pumps up the volume and can pair with other speakers to create a surround sound-like effect. 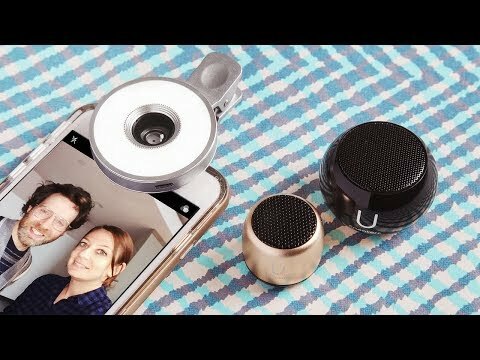 You can also use it as a selfie remote for phone-free photos, too. Dimensions: 1.125" diameter x 1"